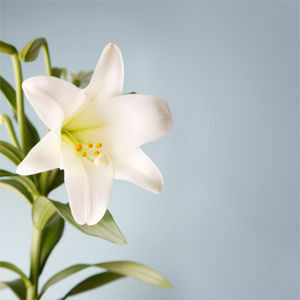 BROWDER - Etta Sue Morphew Vaught, 61, of Browder, died Tuesday, July 26, 2011 at 9:56PM at Owensboro Medical Health System. Mrs. Vaught was born July 20, 1950 in Muhlenberg County. She was a homemaker and member of Browder Missionary Baptist Church. Survivors include her husband of 43 years, Jerry Ray Vaught; parents Boyd and Etta Morphew; daughter Anna Dunlap; brother Gary Morphew; sister Shirley Hawkins; granddaughters Holly Douglas Fulkerson, Elizabeth Douglas, Josie Dunlap, and "DJ" Dunlap; six great-grandchildren; and mother-in-law Helen Hendricks. Funeral services will be Saturday, July 30, 2011 at 1:00PM at Tucker Beechmont Funeral Home, with Bro. Tom Carroll officiating. Burial in Forest Grove Cemetery. Visitation will be Friday after 5:00PM at the funeral home. Online condolences may be made at www.tuckerfuneralhomes.com. Jerry , Boyd ,Etta And Family We are so sorry to hear about Sue .She will be Greatly Missed .She always had a smile on her Face .May God Comfort You in Your Time of Need . You are in Our Thoughts and Prayers.If there is anything We can do just let us know. So sorry for your lose. I know this words are not enough to express my deepest sympathy. Sue was always so nice and sweet to me. I know the family will surely miss this lady. I will also miss her.